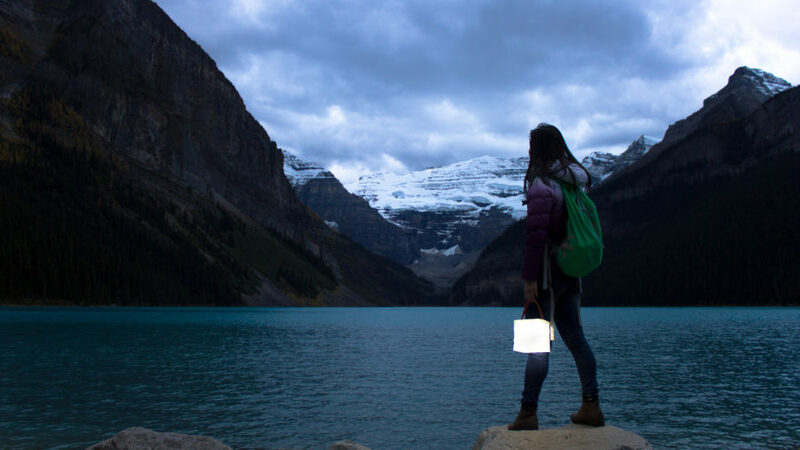 The LuminAID PackLite Max Phone Charger is an inflatable solar-charged camping lantern that also has a USB output port. 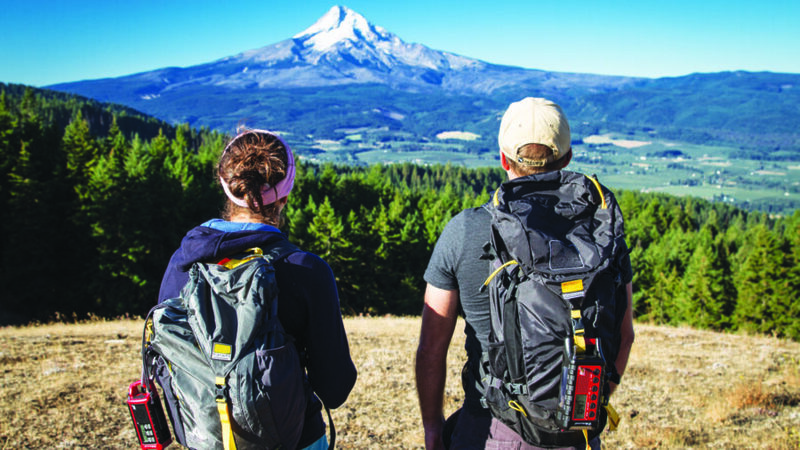 It’s highly packable and weighs only 8.5 ounces, making it a good choice for backpacking. Lanterns have definitely come a long way in recent years! We love a power bank that can do double duty, and this one is particularly clever. Charging devices often give off heat anyway, and a lot of times you keep them in your coat pocket, so a power pack and hand warmer is the perfect marriage. It has a sturdy aluminum body (so it won’t off-gas like plastic chargers) that’s been through drop tests and guaranteed to be water- and dust-resistant. You won’t regret packing this one on a cool-season camping trip. 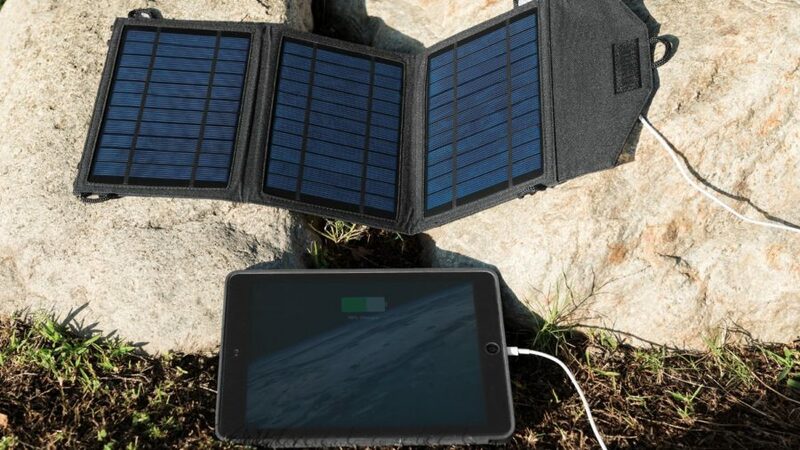 You won’t find a more durable or reliable solar charger for under $40 than the Mercury 10. It has fabulous customer and expert reviews praising its construction, quick charging times for smartphones (larger devices can seem a bit sluggish, but that’s to be expected), and ability to recover from charge interruptions. 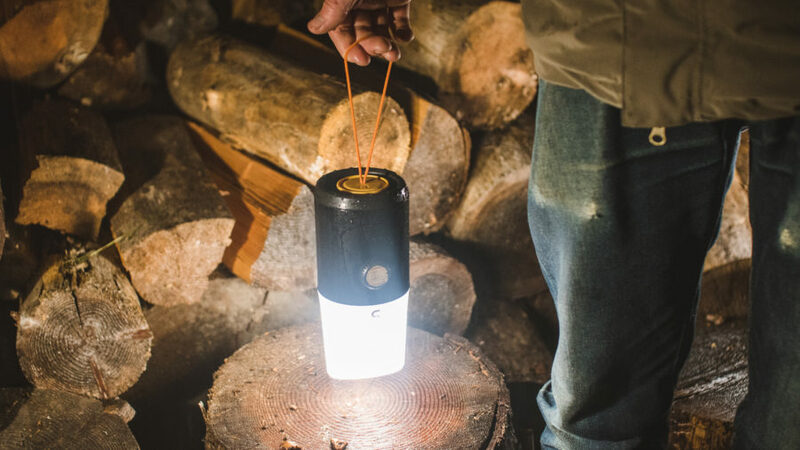 The Madrona+ plus is a sleek little rechargeable lantern with a USB output, making it perfect for charging your phone in a pinch. You probably wouldn’t want to rely on it over a backup battery, but it’s a great backup for your backup. 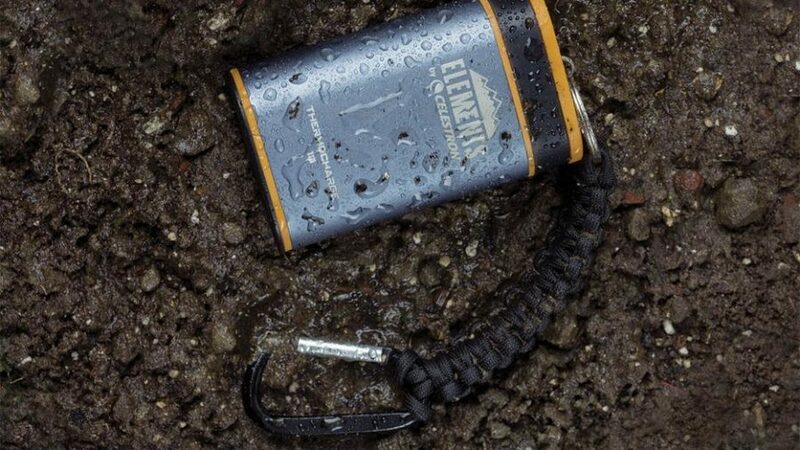 Besides that it’s just a great compact camping lantern that you can easily hang from the ceiling of your tent thanks to a magnetic lanyard. Crank-powered emergency radios are always a good idea to have out in the backwoods, especially when your primary means of communication with the world drops battery life like it’s a race. Luckily the Midland ER310 has four (!) sources of power—crank, solar, rechargeable lithium battery, and AA batteries. In addition to tuning into NOAA weather alerts and doubling as an emergency strobe light, it can also charge your smartphone by USB. 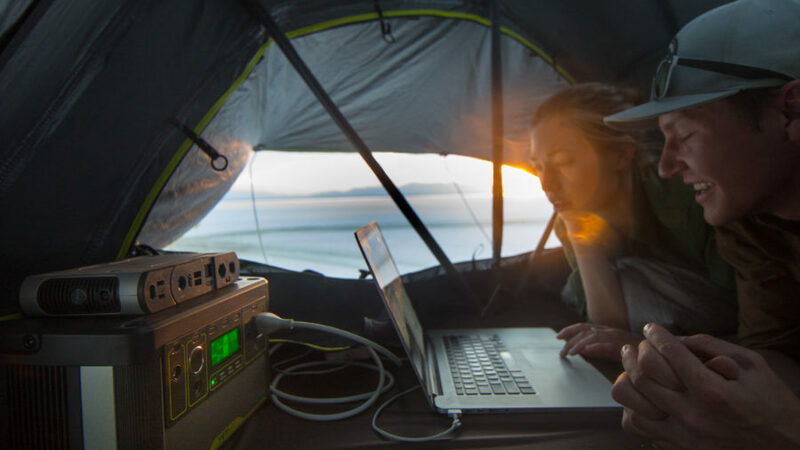 For RV road trips and other extended campground stays, you might want to invest in a high-quality generator like the Yeti 1400. It doesn’t run on gas or produce fumes like traditional generators, so it’s safe to store and use indoors. High-capacity surge protection also means it can handle a variety of device sizes, from your smartphone to your laptop to your refrigerator. 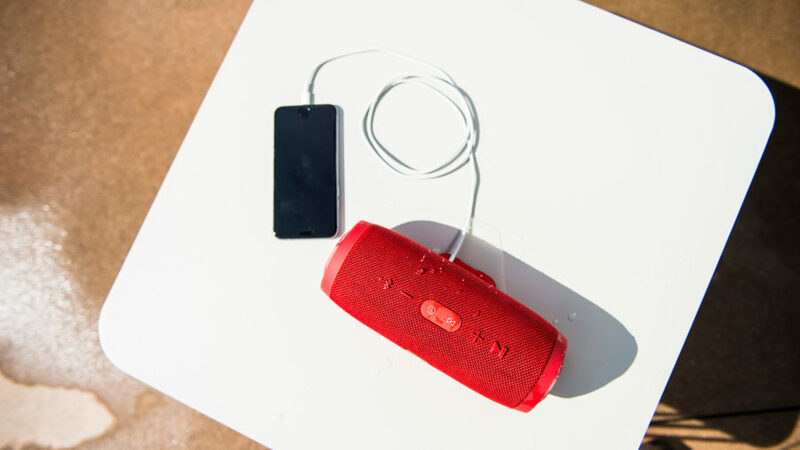 Whether you want to jam at a festival or mellow out to some James Taylor by the campfire, a small, rugged portable speaker is great investment for any outdoor adventure. This one also happens to store enough juice to charge your phone at the same time you’re listening to stereo-quality tunes. You don’t need to carry cooking fuel when you’ve got this beautiful wood-burning backpacking stove. You also don’t need to carry a back-up battery because it converts energy from the flames into power to charge your phone. 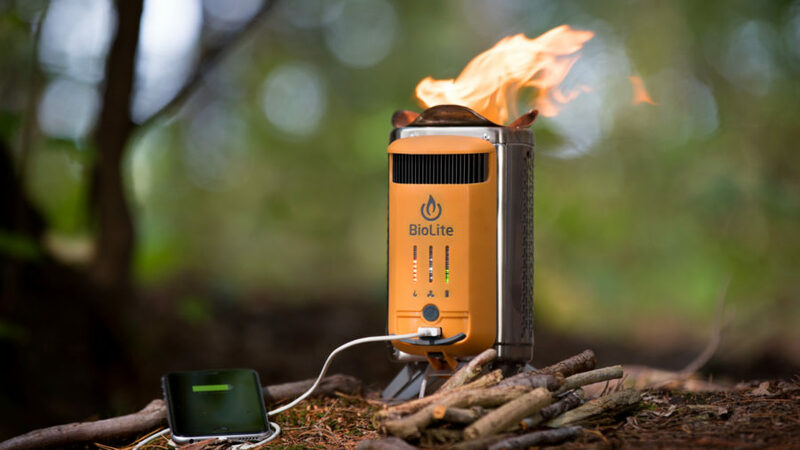 This new model of the older BioLite CampStove also has an internal battery that charges as you cook so you don’t have to burn wood continuously to keep your phone charging. And the features don’t stop there: a four-speed fan allows you to control the size of the fire, while other internal fans keep the fire virtually smokeless. 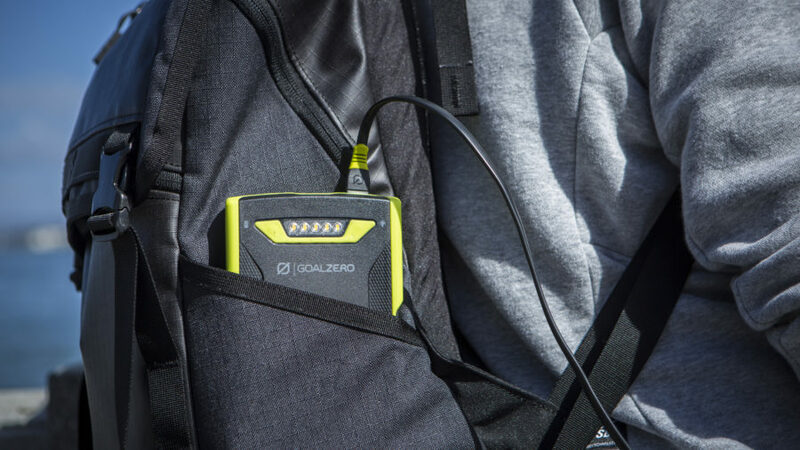 The Venture 70 is a backup battery that’s specifically built for the outdoors. It’s water-, dust-, and dirt-proof and otherwise designed to withstand getting banged up. Conveniently, this power bank has two USB output ports that can be used at the same time, and you can expect to get about 6-7 smartphone recharges before it needs to replenish its own battery. The Venture 70 is a bit larger and thicker than your average smartphone, so it’s not ideal for slipping in your pocket, but that’s about the only downside. 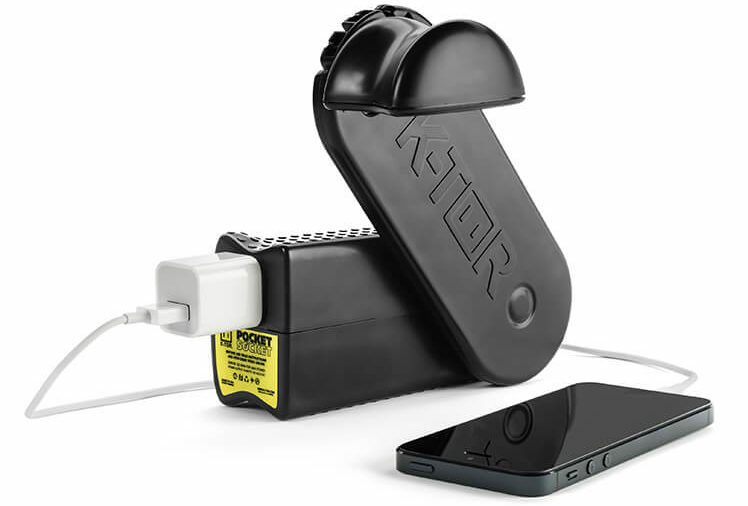 The Pocket Socket 2 is a simple hand crank generator that charges anything with a USB plug. Though not the most convenient or fastest way to get power, it’s certainly the most reliable of any on this list: it doesn’t require a wall outlet to replenish it like a backup battery, and you don’t need to count on the sun coming out like you do with solar chargers. All you need is your arm muscle—one that grows stronger the longer you crank. Overall, the Pocket Socket is ideal to have for emergency situations, but not something you’d want to use every night to keep your phone battery topped up at 100%.